Our λ/4 mirrors are manufactured from fine annealed borosilicate glass and come standard with an AlSiO coating (aluminum with a protective SiO overcoat). Other coatings for various optical wavelengths available upon request. 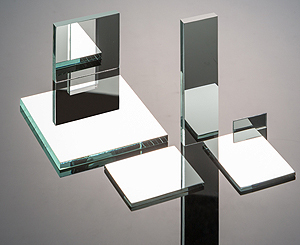 Click here to see the rest of our λ/4 optical mirror selection.